With Tesla's Model 3 somewhere on the horizon, there are 450,000 or more hopefuls out there anxiously awaiting the birth of their electric babies. Tesla die-hards are a bit different from other car buyers; they're willing to put down deposits and wait years for their car to be built and delivered -- but they might be in for a harder time than they realize. 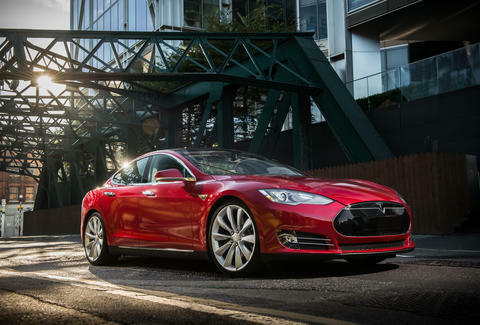 The company has certainly upheld its commitment to customer service for Tesla owners. As for the not-yet owners who hand over fistfuls of hard-earned cash well in advance? Tesla has failed to keep the lines of communication open; there’s little beyond a reservation number to cling to as the maddening silence of pre-production purgatory turns deafening. That’s just the beginning of Tesla's ordering process maladies, which can rightly be considered a nightmare. How do we know? We asked a Tesla customer. 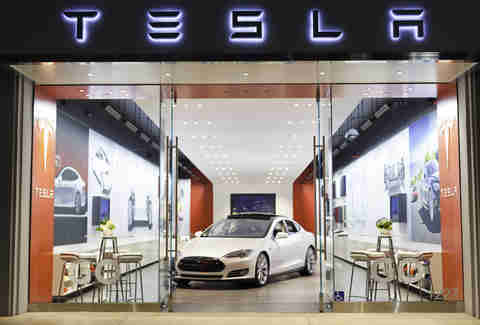 The official Tesla website states: "Ordering your Tesla is just like any buying experience on the Internet. Simply choose your options, enter your contact information, and indicate your preferred delivery timing." Simple, right? If ordering a Tesla were truly “just like any buying experience on the Internet,” then customers could track their vehicle at every step of the process, and in real time. Even "normal" carmakers keep you updated of exactly where your car is in the production queue once you place your custom order. We spoke with one Tesla customer, who preferred not to be identified for fear of Elon's wrath (more on that in a second), about his purchasing experience. He placed his Model X reservation in April of 2014, expecting to take delivery of his prized possession sometime in 2015. He finally got his car in April... of 2016. 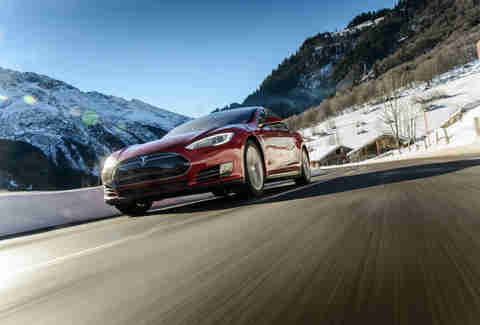 The only major communication he received from Tesla during that time was a holiday greeting card noting the brand’s excitement to produce his car in the New Year, and an announcement for an event on September 29th, 2015 where future Model X owners could watch the delivery of the first batch of all-electric SUVs roll out -- to other paying customers, naturally. Finally, almost two years to the date of placing his reservation, Tesla notified this same customer that his Model X was headed into production and would be ready for delivery in two to three weeks. The company requested that he provide his financial information to their online system so that payment would be ready when the time came. Within 24 hours of entering his financial data, he awoke to find that Tesla drafted $112,000 from his personal bank account for payment. Not only was it sudden, but there was no official communication notifying the buyer that a lump sum would even be withdrawn from his bank account -- let alone one totaling six figures. Luckily for him, he had the funds. Even if this was just a one-off, a lack of safeguards that severe is jaw-dropping. It shouldn't even be possible. Tesla begins soliciting your deposits at such an early stage in development that it’s too early to determine what you’ll actually get with said vehicle. Features and finishes aren’t selected until your car is actually ready for production, so you can't even realistically know how much it will cost in the end. For prospective Model 3 owners hoping to get the $7,500 federal subsidy for electric vehicles that makes low prices possible, there's more bad news: it's going to run out before even half of the currently reserved Model 3s are delivered. So depending on where you are in the production queue (information that, once again, isn't available to you), that's a sizable financial hit right off the bat before any options are added. 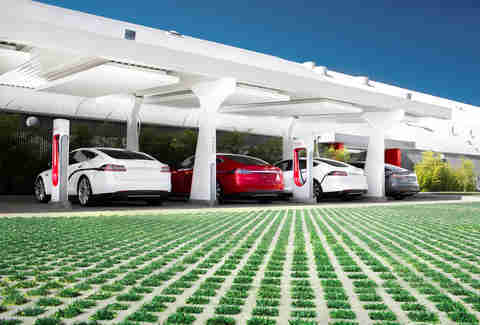 Research has shown that gas prices largely drive consumers both toward and away from electric vehicles, and even Elon Musk predicted the demise of electric car sales at the onset of lower fuel costs. Our Model X owner placed his order when the price of gas was north of $4.00 a gallon. By the time he took delivery -- again, a full two years later -- the gas price outlook had completely changed, and he was shelling out a mere $1.33 per gallon for the stuff. In an odd twist that runs counter to most automakers, Tesla is fairly transparent about the concept and design process, yet secretive about its production. While Musk (smartly) builds hype among the Tesla faithful, the company and its engineers fine-tune behind the scenes to try and make his dreams into a reality. 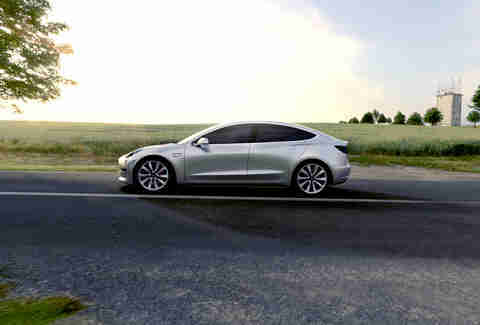 Right now, the reality is that the Model 3 hasn’t even been fully revealed to the public. Almost half a million people have placed deposits to reserve a vehicle that will be made... sometime in the future. Across its lineup, refundable deposits vary between $1,000 and $5,000 -- that means Model 3 reservation holders have collectively given Tesla roughly $450 million, just since March of this year. They're essentially bankrolling much of the company’s vehicle development and production. This is crowdfunding at the most advanced level, and no other automaker, in its wildest dreams, could ever get away with it. Basically, it’s the equivalent of shelling out $1,000 for a Kickstarter project you haven't even seen. Tesla's production delays have been well documented, as has even Elon Musk's own skepticism about his Model 3 production schedule. Maybe that’s why he’s so keen on canceling customers’ orders? Musk personally cancelled the order of one customer who speak poorly of the brand (Musk said he was being "super rude"), a move which only contributes to what soon could devolve into a negative customer-manufacturer relationship -- not to mention a sales approach that recently ranked dead last among all automakers by a wide margin in terms of satisfaction. Sound like a nightmare yet? Melanie Batenchuk is a contributor to Thrillist Cars. As the founder of Be Car Chic, she’s passionate about the car industry, and prides herself on making the car-buying process palatable to women and men everywhere. Follow her @BeCarChic, where she truly has no beef against Tesla.